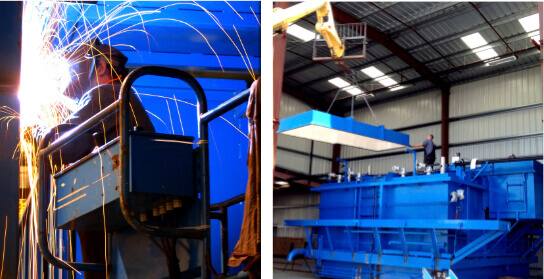 For more than 50 years, Kleenair Products Co. has been designing, engineering, and manufacturing high performance custom industrial furnaces, ovens, and other industrial process solutions. We have the experience and the expertise to deliver completely custom-built systems that are tailored to the needs of our customers’ unique applications. 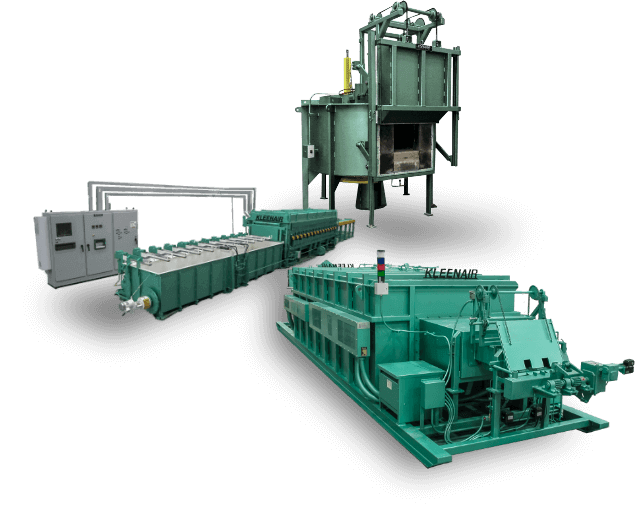 Our innovative industrial furnaces and ovens are known for meeting or exceeding the highest standards for safety, productivity, efficiency, and uniformity. We have provided custom units for aerospace, military, and other demanding markets that require tight tolerances and superior performance. Sometimes, smaller is better. Because we’re a small company instead of a large corporation, we can provide a level of customer service that bigger companies cannot. We’re easy to work with, with an experienced and personable team that knows what users really need from products like ours. We will work with you to develop the perfect furnace or oven for your specific application, no matter how simple or complex your requirements may be. While Kleenair Products Co. isn’t the biggest manufacturer in the industry, we do deliver unmatched quality and performance. 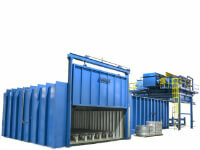 Other companies may offer customized industrial furnaces, but none of their products can outperform ours. Kleenair furnaces and ovens set the standard for performance, dependability, and temperature uniformity. Our industrial furnaces and industrial ovens are reliable and built to last, with advanced control systems and HMIs (human-machine interfaces) that make them easy to operate. All our products are manufactured at our facility in Clackamas, Oregon, USA, and are fully tested to ensure proper operation. Finished products are shipped factory-direct by land or sea to their final destination. Our furnaces and ovens are designed for fast installation. An expert Kleenair installation team—comprised of many of the same staff who built your system—will help get your custom furnace or oven up and running in two weeks or less, and with minimal disruption of your day-to-day operations. Kleenair offers remote support online and over the phone, and can provide onsite maintenance and repairs, with an expert crew that will have you back on track in no time. 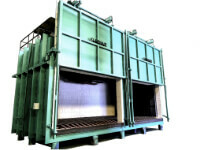 We build our custom furnaces and custom ovens with durability and reliability in mind. They’re engineered for many long years of dependable service, even in the most demanding applications. But even the best-built products need maintenance eventually. That’s why our products are engineered for easy maintainability. Our engineers are true hands-on experts—builders, makers, mechanics—with a deep understanding of what it takes to make our machines work and how to get them up and running again should something require maintenance.